An increasing number of jobs these days require new hires to undergo a background check. Employers are being more careful for a variety of reasons, including the nature of the work and potential exposure to litigation. The bottom line? Employers want to feel comfortable that the people they are hiring are who they say they are, and the experience cited on resumes and applications is legitimate. A survey by employment site CareerBuilder has found a number of myths about background checks, and believing those myths could cause jobseekers to make mistakes that costs them the job. Jobseekers, he says, can help by taking great care in the information they present. And it starts with their job histories. The CareerBuilder survey found about 13% of jobseekers just estimate the time they spent at each previous employer, thinking that's good enough. It isn't. CareerBuilder says that's a good way to get your resume flagged as inaccurate. It can cause a delay in the hiring process, or knock you out of the running completely. So make sure dates are as accurate as possible. 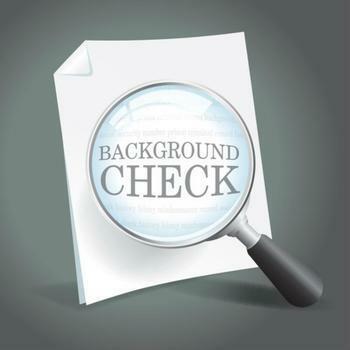 Many job applicants never even consider they might be subjected to a background check. However, the survey shows 72% of employers say they run such a screening for every new hire. More than half also say they ask candidates to take a drug test. Jobseekers should think about what a background check will turn up. It's pointless to try to hide embarrassing information -- better to address it head on. Also, take some time to scrub your social media to make sure it presents a professional and mature look. Present a solid line-up of references, but ask permission first. Don't assume these people will not be contacted, because they will. If you get their permission to use them as a reference, they'll be ready when they get contacted and will make a better impression. Are your job prospects getting better or worse?